There are varying degrees of a tummy tuck – abdominoplasty surgery procedures that Dr. Michael L. Thornton performs at Mansfield Cosmetic Surgery Center. No two tummy tuck surgeries are alike. This determination is dependent upon the amount of loose skin, underlying fat, stretch marks, abdominal scars, and the laxity of your underlying abdominal muscles at the time of your tummy tuck consultation. For patients whose underlying abdominal muscles have minimal weakness and minimal loose skin-especially if isolated to the lower abdomen below the belly button, then a mini tummy tuck may be considered. In contrast, individuals with moderate to severe amounts of loose skin, stretch marks, and abdominal wall weakness will benefit from a full traditional abdominoplasty procedure. Following successful bariatric surgery or after massive weight loss, patients with considerable skin excess may be an excellent candidate for an extended abdominoplasty or a fleur-de-lis vertical abdominoplasty to remove excessive and redundant skin in the midline. It is also possible to undergo simultaneous liposuction of the abdomen, flanks, back, or pubic region to compliment the abdominoplasty procedure. This combination procedure–tummy tuck with liposuction–is also known as a lipoabdominoplasty. Previous unsuccessful abdominoplasty with the development of scar widening, dog-ear deformity, recurrence of the muscular diastasis defect, or the development of an abdominal hernia may need revision abdominoplasty. If you are unhappy with your previous abdominoplasty result, Dr. Thornton will be happy to see you for a complimentary consultation to review your revision options. Finally, a mommy makeover abdominoplasty is to restore your tummy to your pre-pregnancy days by combining a traditional tummy tuck or mini tummy tuck with cosmetic breast restoration surgery, including either a breast lift, breast augmentation, or breast reduction surgery. What can I expect during my tummy tuck consultation? 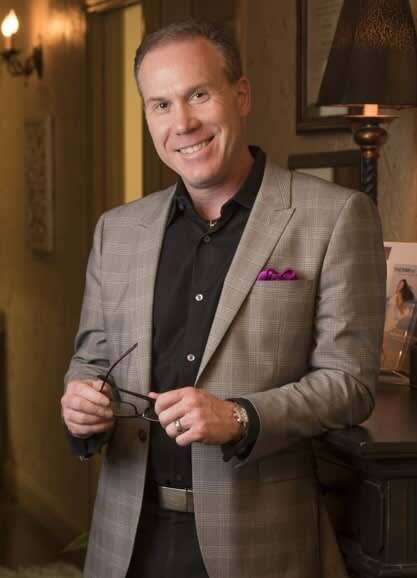 During your tummy tuck consultation, you will meet privately and exclusively with Dr. Michael Thornton where you will collectively share in the decision making process about your personal needs, desires, and expectations. Although well qualified, we choose not use patient coordinators, nurse practitioners, or physicians assistants to perform your consultation. Dr. Thornton will complete a thorough medical history and perform a careful examination, including the identification of underlying hernias and location of previous scars. Most importantly, he will formulate a personal surgical plan that is best suited for your body anatomy. The complexity and extent of the abdominoplasty surgery depends on the amount of excess skin, amount of fat and the laxity of the underlying abdominal muscles. In circumstances where there is minimal weakening of the muscle with minimal skin excess, a mini tummy tuck may be best suited. In addition, for those individuals requiring liposuction of the upper abdomen and flanks, a lipoabdominoplasty may be performed to provide the best aesthetic result. QUESTION: How long will my tummy tuck swelling last? Swelling following a tummy tuck may last up to 3 – 4 months and your final result may not be evident until a full 6 months. Swelling is very individualized and is different between patients. Some patients may only have noticeable swelling for 4 -6 weeks. Unfortunately, I can not predetermine the level of swelling you will have. However, I have seen swelling persist longer if I perform liposuction at the same time. This is because there is more surgical exposure and trauma. I have also noticed that stretch marks will remain swollen but will eventually subside with time. Wearing snug body garments following surgery will aid in reducing your swelling and I encourage you to wear these garments for 2 – 3 months until the venous supply and lymphatic drainage return to normal in your lower abdomen. QUESTION: How soon should I expect to visibly see results following a tummy tuck? Immediately following tummy tuck surgery, you will see an obvious improvement in the appearance of your skin quality and muscular tone. Your incision will have brown paper tape (Micropore tape) to cover the fresh incision and you will have at least two drains. However, you should expect to see functional and visible results in about 3 – 4 months. I have seen excellent aesthetic results sooner and later but that is a good average. QUESTION: How long should I have someone help me at home? I suggest that you have someone (spouse, boyfriend, parent, friend, neighbor, etc) stay with you for the first 2 – 3 nights. This person needs to be an adult and able-bodied who can assist you to the bathroom, help you bathe, manage your drains, and assist you with pain meds. I also suggest that for the first several nights you limit or eliminate contact with small toddlers and pets. QUESTION: What kind of pain meds will I be on? Unless you have an allergy, I will always prescribe hydrocodone (Norco) plus acetaminophen (Tylenol) combination. This formulation of hydrocodone (7.5mg) plus acetaminophen (325mg) I prescribe for you is safe and effective. I also prescribe Valium (diazepam) for muscle relaxation. QUESTION: How soon can I put “stuff” on my tummy tuck scar? I will tape your incision for the first 2 – 3 months with brown Micropore tape that I have used for many years. I have found this method of incision taping is both inexpensive and very effective and makes a significant difference in protecting your incision while minimizing your scarring. After the first 3 months you may use whatever “stuff” you desire on your scars including scar creams, silicone sheeting, and Vitamin E oil. QUESTION: When can I shower after my tummy tuck? You may take your first shower 24 – 48 hours after your abdominoplasty. It’s important to take precautions because you may feel woozy or light-headed due to effects of taking narcotic pain medication. So, I suggest you have someone assist you during your first shower so you don’t accidentally collapse or fall. Your incision is water-protected because I apply tissue glue and tape. QUESTION: When will the drains be removed? Your tummy tuck drains will be removed within the first 4 – 5 days following surgery. Sometimes I will stagger the drain removal by removing one side first then remove the other side after a few more days…but it is important to remember the drains will only be removed when the output is minimal. It is understandable the drains are inconvenient and may tug on your skin, but they play an important role to lessen the chance of fluid accumulation following your abdominoplasty (especially if I perform liposuction). Some cosmetic plastic surgeons may not place drains but the majority of us do. QUESTION: Will I be given anything for pain when I wake up from my tummy tuck surgery? Yes!! Your tummy tuck surgery will be performed in an AAAHC certified surgery center using board-certified anesthesiologists (MD/DO) and certified nurse anesthesia providers (CRNA). Immediately following your surgery, the anesthesia team and the post-anesthesia care nurses will give you IV pain medicine and muscle relaxant medications to make you comfortable. I also will locally inject long-acting pain medication (Marcaine) directly into your abdomen muscle repair during the surgery. This locally injected pain medication will last several hours. Remember, following surgery you will have an ample supply of Norco and Valium at your home to use during your recovery. QUESTION: When should I start wearing the compression garment? How long do I wear after surgery? Following your tummy tuck, I will provide you with a white abdominal binder with velcro and you will wear this garment for the first week. As soon as I remove your drains and determine your skin is healthy, I will allow you to start wearing a compression garment. You will typically wear this garment for 2 – 3 months (refer to Question #1) but some patients may choose to wear a compression garment for longer. QUESTION: When can I drive a car after my tummy tuck? This is an individual decision and every patient is different. However, you may safely begin driving a car when you are no longer taking narcotic pain medication or muscle relaxant medication AND when you can comfortable enter and exit your automobile. Where will my tummy tuck surgery take place? All tummy tuck – abdominoplasty procedures are performed under general anesthesia at Baylor Surgicare at Mansfield, a AAAHC certified out-patient surgery center, located in Mansfield, Texas. On average, your procedure will take 3 – 6 hours to complete, depending upon the complexity of the case or if additional liposuction or simultaneous breast surgery (mommy makeover) will be performed. Furthermore, all tummy tuck procedures are performed using general anesthesia as provided by board-certified anesthesiologists and certified anesthesia providers. Dr. Thornton does not perform ‘awake’ tummy tuck – abdominoplasty.